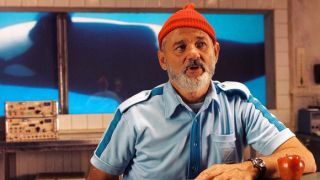 Beloved-by-literally-everyone actor and comedian Bill Murray is notorious for rejecting the trappings of the modern world, including cell phones - until now. Legend has it that anyone who wanted to get in touch with Murray had to call a secret 1-800 number, but now the legend has got himself a BlackBerry, reported Variety. "I got it to communicate with my sons, because they will not answer a phone call, but they will answer a text," he told the magazine, according to the New York Post's Page Six. No word on exactly what model of BlackBerry he got or whether it's a smartphone or a feature phone, but there's no doubt Murray is having a good laugh at the fact that everyone cares so much about what kind of phone he's using. We don't have Bill Murray's cell number, but we do have more blips.